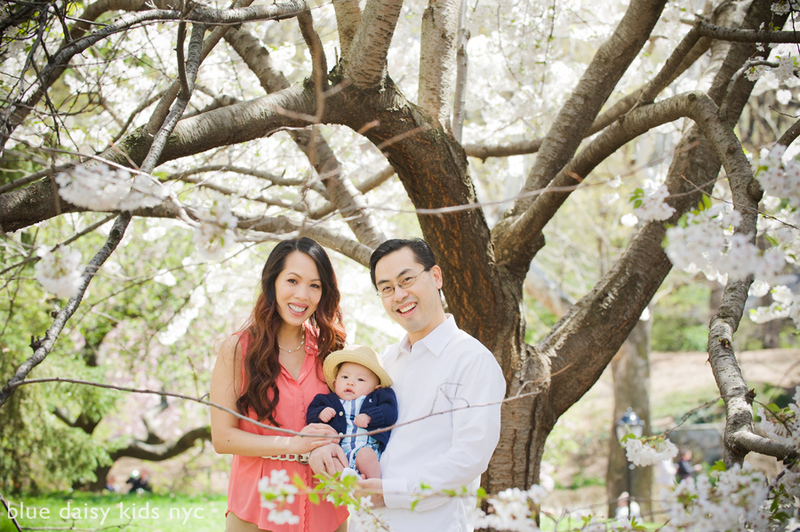 It was a beautiful spring day for family portraits in blossoming Central Park and I was very excited to photograph Ann and Matt again with their beautiful family. I have photographed Ann and Matt’s engagement portraits and wedding in 2008 and it was great to see them again now with their sons and also Ann’s mom and grandmother. Multigenerational family portraits are always dear to me because it’s rare when a great grandparent is still in great health and can enjoy their great grandchildren. 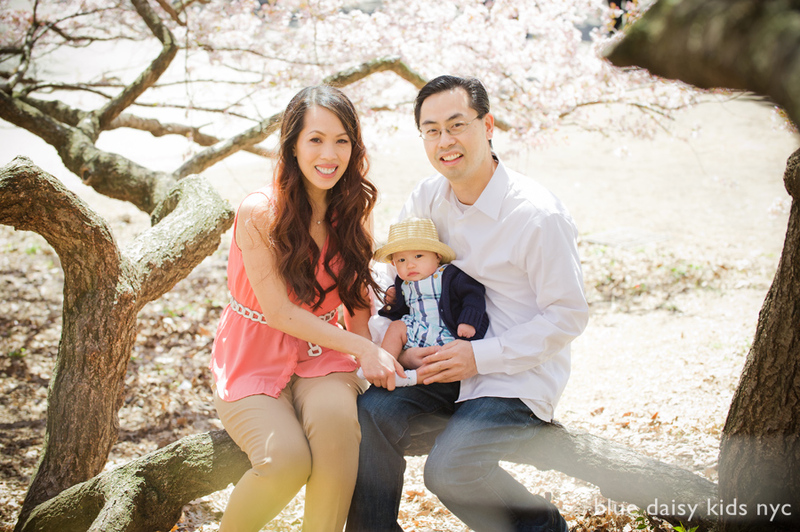 Congratulations to Ann and Matt for creating such a beautiful family – it’s always a pleasure to photograph you! 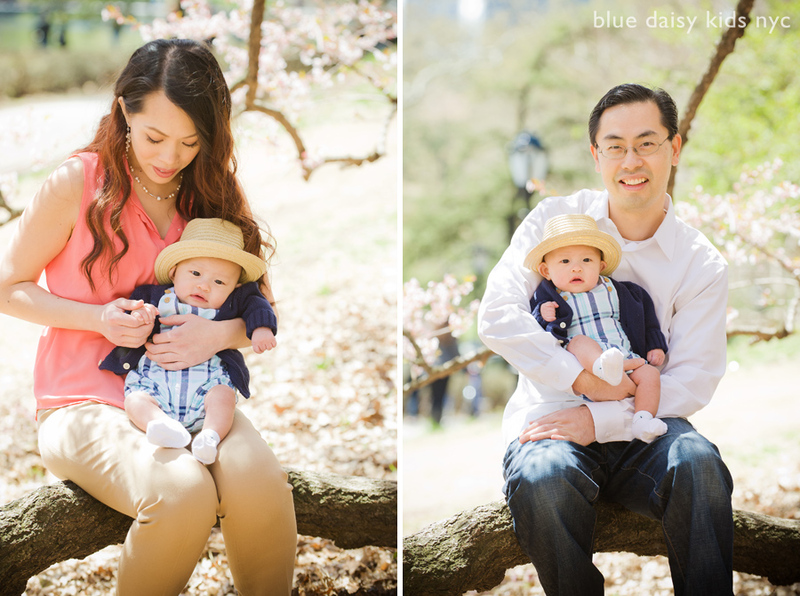 Baby Toby was seven weeks old when I took his portraits with his mom and dad in their Hudson Heights NYC home. He is a very calm and smiley baby who loves to hang out with mom and dad equally. I have been photographing this little girl since she was still in her mom’s belly. This cute lady just turned four years old. We did her portraits in Garden City, Long Island wearing a beautiful gold and purple Indian sari dress and a mint green fairy dress.